Having a home that reflects your own personal sense of style can make you feel confident, more relaxed, and at ease in your environment. But even the most stylish and fashionable interiors become immediately unsuccessful if they aren’t also comfortable places to be too. 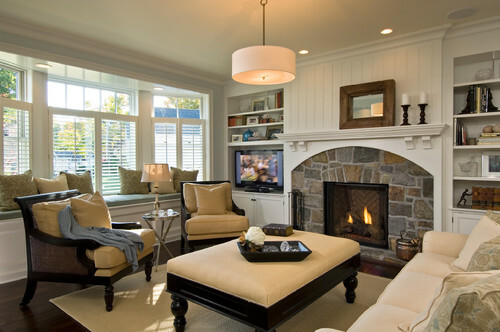 A good interior designer will be able to help you meld comfort and style together, creating the perfect balance. 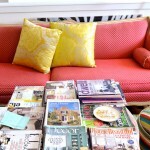 One of the most important decisions you will make when decorating your living room is the colors you use. Color can make or break a living space, either energizing or relaxing the people in it, depending on whether warm or cool overtones have been used. Neutral colors have always been popular choices for living rooms, but more vibrant colors can have just the same relaxing effect and will make much more of a statement to your house guests, despite often being overlooked. Create a cozy environment with buttercup yellow, use rich aubergine if you want a space that is more contemporary, and if your tastes lean towards the traditional then buttermilk walls with rich honey accents are a classic and beautiful combination. 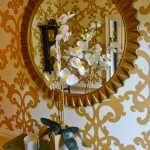 When it comes to choosing colors you must remember to think about the whole room, and not simply the walls. For example, if you have a vibrant colored carpet that you have no intention of replacing, then you should consider choosing colors that are complementary to it when you’re decorating rather than simply picking colors you like. Or you could look into tailor made rugs for a Hampstead home to change up the colors that you can use. 2 – Are You Sitting Comfortably? When it comes to finding a sofa that combines both comfort and style, you really are spoiled for choice by modern manufacturers. Gone are the days when homeowners had to choose between having a sofa that looked stylish but wasn’t very comfortable, or felt incredible but looked clunky and inelegant. Now you can buy reclining sofas or sectional sofas so discreet that until you decide to lounge, your house guests won’t even know about your sofas comfortable secret! Every room needs a focal point. Homes that are open plan could use a staircase as the focal point. Things like balustrades from Pear Stairs could help highlight the importance of the staircase to your room. If you choose to make your sofa or seating area the focal point of your living room then ensure that every aspect of it coordinates with the rest of your decor and uses bold complementary colors. Think carefully about the scatter cushions and throws you buy, and if you’re covering an existing sofa then why not buy extra fabric to make curtain tiebacks, napkins, or other small accessories that will ensure your room has complete coordination and consistency. One of the best ways of making your living room feel cozy and comfortable is to ensure that your furniture is laid out properly and situated in its optimal positions. Take a step back and think about how you currently use the room and also how you’d like to use the room. Is this a space for socializing? For sharing intimate conversations with your family? Once you’ve established how you’d like the space to be used you can make sure your furniture is laid out to enhance that experience. Arrange your furniture in a way that is conducive to a conversation so that people can sit and chat without having to sit uncomfortably or raise their voices to hear each other. If your room is large enough, or serves multiple functions, create zones where everyone’s needs can be fulfilled. Many people make the mistake of overfilling a room, thinking that wherever there is an empty space there should be a piece of furniture, to prevent the room from feeling empty and stark. 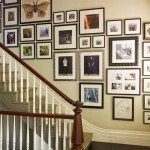 In reality, however, overstuffed rooms just look cluttered and crowded, lending a claustrophobic feel. Empty space creates the illusion of just that: space. By allowing areas of your room to be more sparsely decorated and parts of the wall to be bare from floor to ceiling the ultimate effect will be of a room that feels more tranquil and like a much more comfortable place to spend time. 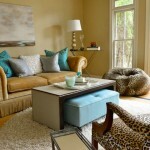 I would love to help you create a comfortable and stylish space for your living room. Give me (your favorite Atlanta interior decorator) a call and see what beautiful things we come up with to make your home the talk of the neighborhood.